In my on going quest for entertainment on DVD I purchased Criminal Minds. I hadn’t seen it on network television because I just don’t watch TV anymore. What drew me to this particular series was the FBI profiler aspect and two of the stars, Mandy Patinkin and Thomas Gibson probably best known for Dharma and Greg. Patinkin plays James Gideon who is just coming back to the unit after a medical leave. He’s obviously the agent people defer to and has the most experience of the group. Gibson plays the number two man, Aaron Hotchner who is very by the book. The rest of the team is made up of hard working people all specialists in something or other. I particularly like the genius 24 year old Spencer Reid played by Matthew Gray Gubler, he’s subtly funny and humble and adds a touch of humanity to the team, though probably by accident. I find the characters much more believable than the agents or cops in a lot of other shows. You don’t get the feel that they are always posing and waiting for a close up. It is typical of television crime dramas in that as soon as the unit is called in, they manage to solve the case, no matter how long it may have been running, but that’s a minor point. The show focuses on more than just serial killers, they hunt wackos of all types. The show is fast paced, written intelligently and is visually pleasing to boot. All in all it’s damn good entertainment. This set also has a couple nice bonus features included. 22 episodes coming in at 960 minutes, and all very enjoyable. 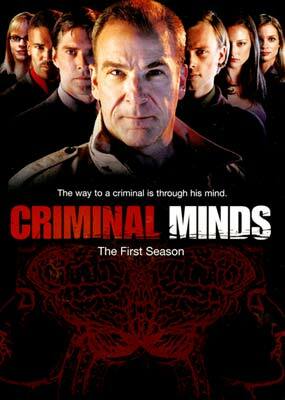 Click here to order Criminal Minds: The First Season from Amazon.